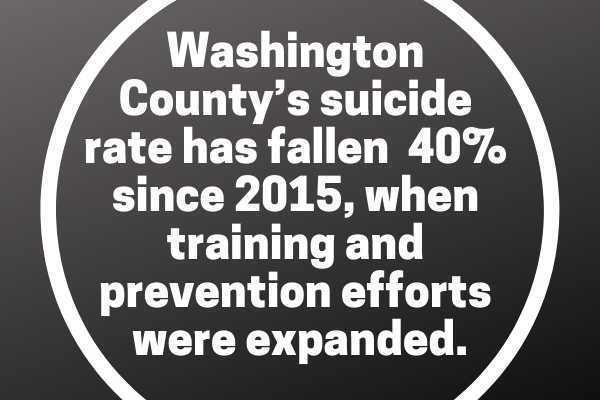 “Breaking the Silence” is a statewide media collaboration aimed at putting a spotlight on the public health crisis of suicide in Oregon and offering our readers, listeners and viewers resources to help if they – or those they know – are in crisis. Learn more at breakingthesilenceor.com. Repp is the supervisor of the county’s public health program and the county’s epidemiologist, which makes her responsible for tracking and responding to diseases that affect public health, such as annual flu outbreaks. 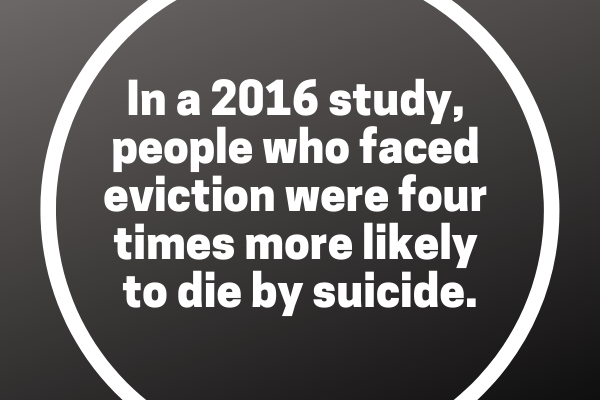 "OF COURSE THERE IS a connection between eviction and suicide,” said Margot Black, an organizer with Portland Tenants United, a tenants activist organization. WHEN REPP ACCOMPANIED Lovato on death scene investigations, she said that she could “feel the suffering” in the rooms where people ended their lives. People often left eviction papers on their dining room or coffee tables – out in the open, where anyone could see them, as if the person had just set them there. 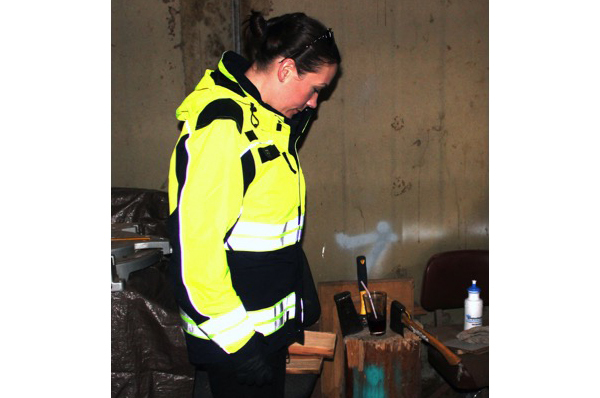 Kimberly Repp, Washington County's epidemiologist, visits the scene of a death. Her work at these scenes has helped her develop a list of risk factors that contribute to death by suicide. 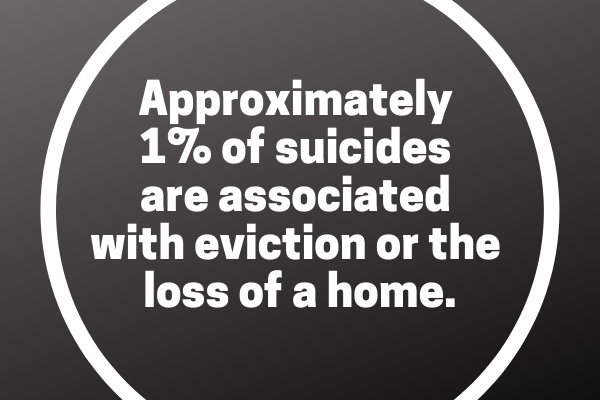 This month, newsrooms across the state are highlighting the public health crisis of death by suicide in Oregon. The goal of this unprecedented collaboration is not only to put a spotlight on a problem that claimed the lives of more than 800 people last year but also to examine research into how prevention can and does work and offer our readers, listeners and viewers resources to help if they – or those they know – are in crisis. Most of the work of “Breaking the Silence” will be published and broadcast April 7-14. The participating media outlets are using a common set of data to ensure consistency, and we have loosely coordinated our coverage in an effort to avoid duplication and better amplify all of our work. When possible, we will promote each other’s stories, but they will also be available at breakingthesilenceor.com. 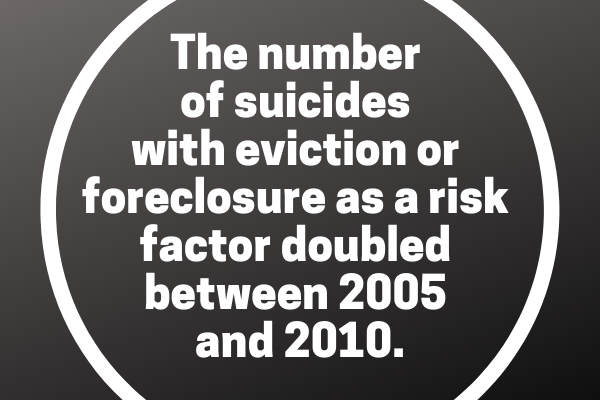 This collaborative reporting project stemmed from a conversation about media coverage of suicide, facilitated by Lines for Life, a regional nonprofit focused on suicide prevention. The weeklong project recognizes that our silence, while well-intended, is not serving anyone. We can and should do better at addressing this, just as we would any public health emergency. The journalism of each newsroom has been independent, guided by local editors and best suited for their local communities. Our hope, however, is that by working collaboratively and promoting one another’s work, this group effort will allow us to shine a brighter light on this problem.